Modern American conservatives have become enamored with the idea of a government with an extremely rudimentary regulatory ability in regard to commerce. In their minds, the federal government has no right to regulate business, as they believe (or claim to believe) that the private market can regulate itself more effectively than a centralized authority. The anti-regulatory rhetoric of the right wing is extremely broad and covers virtually every area or regulation, including the vital regulatory areas of environmental, food safety and banking regulations—in fact, numerous GOP politicians have even argued that the EPA and FDA should be shuttered while banking regulations (ex. 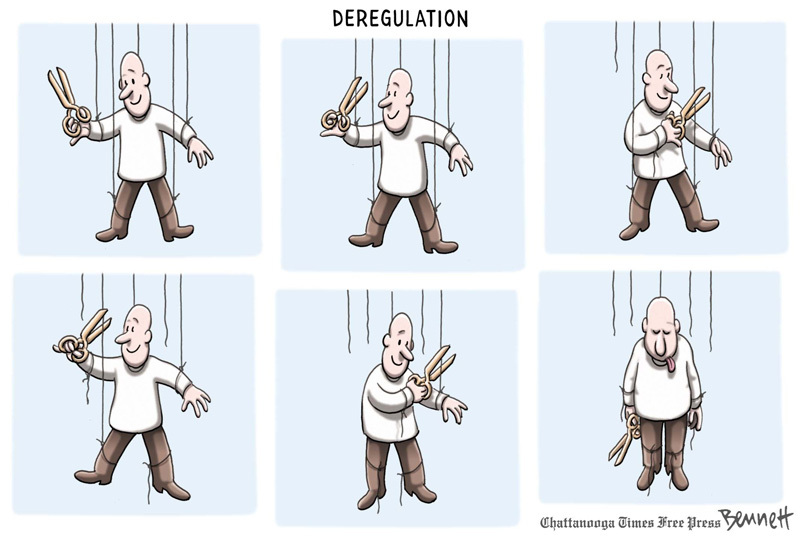 Dodd-Frank) should be repealed. 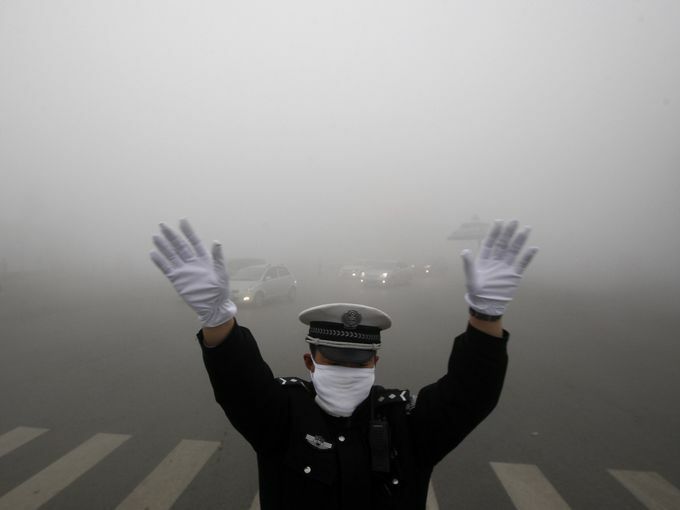 Progressives like myself fight against this conservative ideology of weak regulation because we have seen the consequences of deregulation; for example, weak banking regulations caused the 2008 economic crisis and weak environmental regulations has created the Chinese “super-smog” crisis. Externalities (negative effects offloaded onto society by producers) cannot be accounted for by a purely free market and deregulation simply allows wealthy producers to exploit and pollute their way into exponentially more wealth. That said, my belief that the conservative anti-regulation argument is foolish is not the subject of this article. This article is focused on the simple and undeniable fact that a weak government creates a power vacuum where the next most powerful entity (or set of entities) takes over as a dominant force—in most cases, these powers are large corporations. Power exists within society in many forms and can be arranged in many ways. 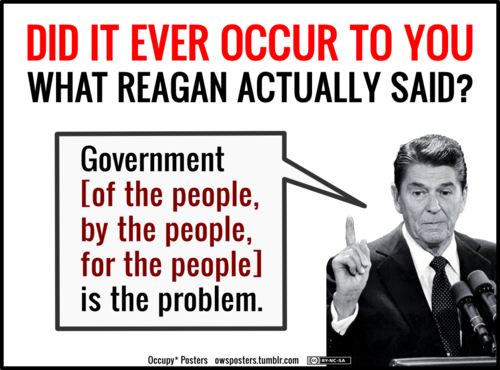 A federal government exists with the consent of the governed and leverages both a monopoly of force (ex. the ability to jail law-breakers) and the economic force which is gathered from tax-payers in order to function. While a democratic government is powerful, it is also (theoretically) accountable because the voting public is able to control who has the reins of power. Private sector entities exist because investors create them with the purpose to make money and are only accountable to their owners and the government. Corporations wield massive power in the form of money and are able to control people through their desperation for employment (ex. Walmart workers working despite terrible working conditions and compensation). Put simply, power will always exist in a society that has any hierarchy (which is every known society, including the socialist ones which claimed to exist for the purpose of equalizing such power) and limiting the power of the federal government to affect private entities will only result in those entities gaining more power. For example, if the government cedes its power to regulate the lowest wage that a person is given for an hour of work, then corporations gain the power to control more fully what their workers are paid. While arguing that the government’s powers to regulate should be lowered, right wing ideologues argue that any power which is given up by the government will go directly to everybody in society. 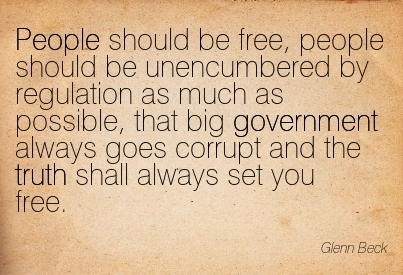 Unfortunately, this has never been the case, as those who already have power are in an ideal position to seize more and are the true beneficiaries of “small government” policies. In effect, these right wingers are arguing that they would rather allocate power with rich and unaccountable private sector interests that exist for the sole purpose of making money, than with people who are elected by the public. For example: If the federal government were to withdraw from regulating pollution, the power to choose whether or not to pollute would not go back to the public, but to wealthy and unaccountable businesses which stand to profit from polluting. The public loses any influence over controlling pollution and hands its “power” (as wielded by their elected officials) over to private interests. When confronted with this flaw in their argument, conservatives will often default to one of two arguments: First, they will say that governments are easily corrupted, thus should not hold power and second, they will argue that governments can easily become oppressive in regulating industry. Governments can be corrupted by money (especially if they have a Supreme Court that considers money to be political speech), but that isn’t an argument to reduce the power of government. If you reduce the power of government, you are simply giving those with money what they want without the mess and cost of buying corrupt politicians. 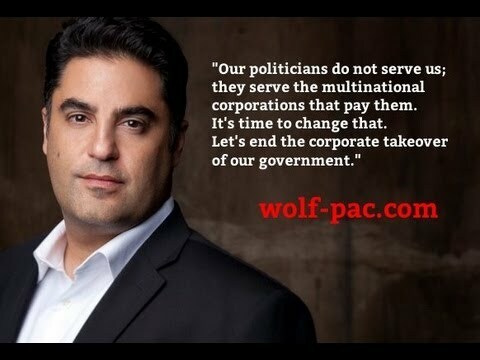 The answer to stopping corruption is not to capitulate to the desires of moneyed interests by neutering government, but to force politicians into being more accountable and ensure that the rules of democracy don’t favor money (go to Wolf-PAC.com for more info on getting money out of politics). It is certainly true that the power balance in society can shift too far towards the government’s ability to regulate commerce (ex. when East Germany mandated that the only car to be produced would be the Trabant), but the United States is nowhere near that point. In fact, the United States under-regulates in many areas of policy—banking regulations being the best example—and the public is paying the price.